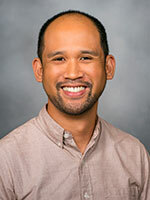 J. Carlo Hojilla, RN, PhD, is a Postdoctoral Research Fellow in the Drug Abuse Treatment and Services Research Training Program at the University of California San Francisco (UCSF), and at the KPNC Division of Research. He received his PhD at UCSF, his master's at the University of California Los Angeles (UCLA), and his bachelor's degree in nursing at California State University, Los Angeles. Hojilla is interested in HIV/AIDS research with a particular interest in developing interventions to optimize the delivery of biomedical HIV prevention strategies like pre-exposure prophylaxis (PrEP) in high-priority populations. His research interests focus on documenting factors affecting the PrEP continuum, particularly psychosocial vulnerabilities like substance use, and leveraging novel strategies to support PrEP adherence and retention.